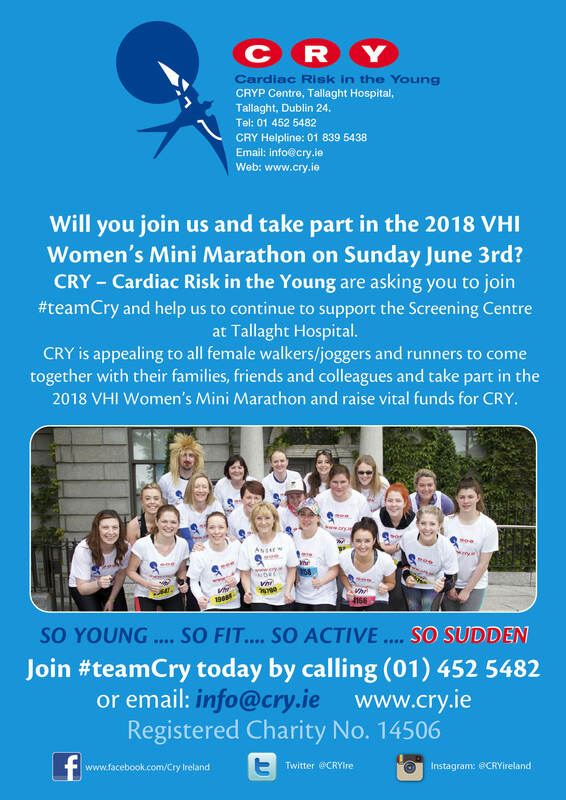 Please consider joining #teamCry and help us do more – walk/jog or run the Mini Marathon on Sunday 3rd June. Call Lucia on 01 4525482 or email info@cry.ie for your Sponsorship Pack. If you are interested in learning more about this event, or taking part, please contact us via this online form or mail us directly. Cry takes privacy and the protection of personal data very seriously and your data is stored securely. Under the General Data Protection Regulation you have the right to ask for your data, to ask us to stop processing your data, or to ask for this data to be deleted.